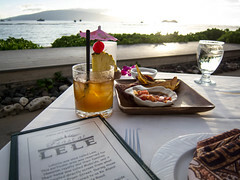 Our first night in Maui, The Fiance and I landed at 6pm. By the time we got through customs, picked up the rental (a lime green mustang convertible) and drove an hour to the hotel, it was 9pm and we’d been awake for close to 21 hours. Needless to say we needed a quick meal that was close by and still open. We stayed at the Sheraton resort in the Kaanapali area and was only a 10 minute walk from Whaler’s Village, a mall with shops and restaurants tailored to the many tourists in the area. 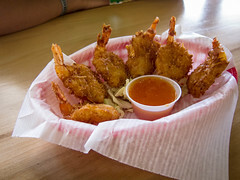 Atmosphere: Hula Grill has two dining areas, an outside barefoot bar in the sand right off the beach and a more formal interior space. We chose to sit outside and was directed to a table right in front of the live performance stage. It was nice to have sand in between your toes during dinner and I immediately felt like I was on vacation. Large beach umbrellas provide cover, and the space is lined with palm trees and tiki torches. The restaurant was still pretty busy with people enjoying drinks and dessert. There was definitely a heavy proportion of tourists and the mood was relaxed. 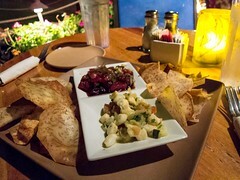 Service: Once we were seated, we had time to sit with our menus before our server came to introduce herself. She was friendly and professional. Our food arrived after a short wait and our bill was brought to us once the plates were cleared. It was a hard to track down our server as she moved in and out of the restaurant but it didn’t hamper our dinner at all. Food: After such a long day, I knew I needed to eat something but my stomach was already asleep and ready for bed. 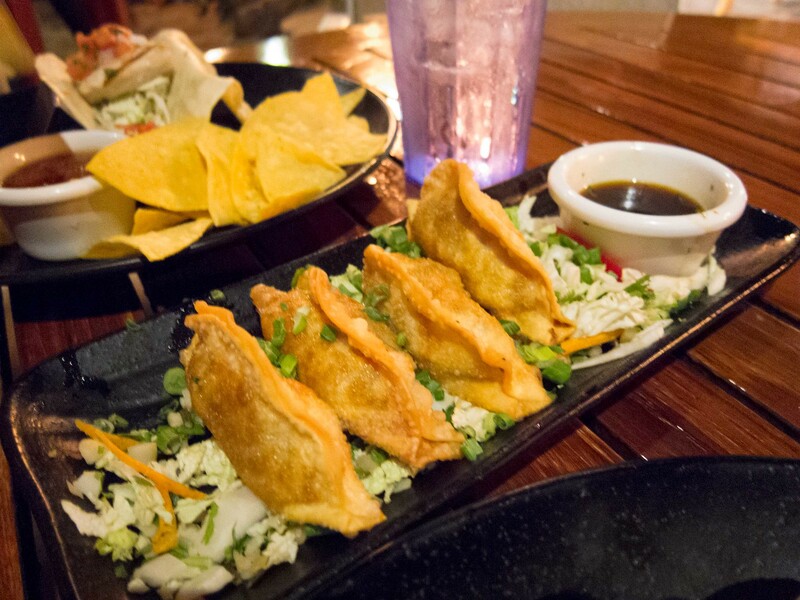 We decided to split a plate of Local-Style Potstickers and a Fresh Fish Taco. 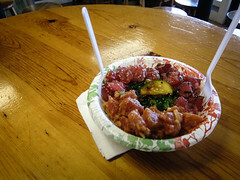 Both dishes were “Hawaiian” and the fish would be light. The potstickers were deep fried, filled with kalua pork, Maui Onion and served with a ponzu sauce.The skins were super crispy, not oily and the filling was rich and flavourful. I loved the ponzu sauce and it was nice tangy, sweet balance to the potstickers. 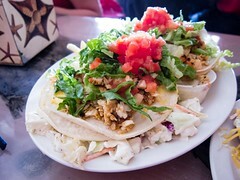 This was my first of many fish tacos to come in Maui and it set a nice bar for the trip. The fish was lightly grilled and you could really taste the natural flavour with no fishiness. The salsa topping and coleslaw filling was also light allowing the fish to take centre stage. 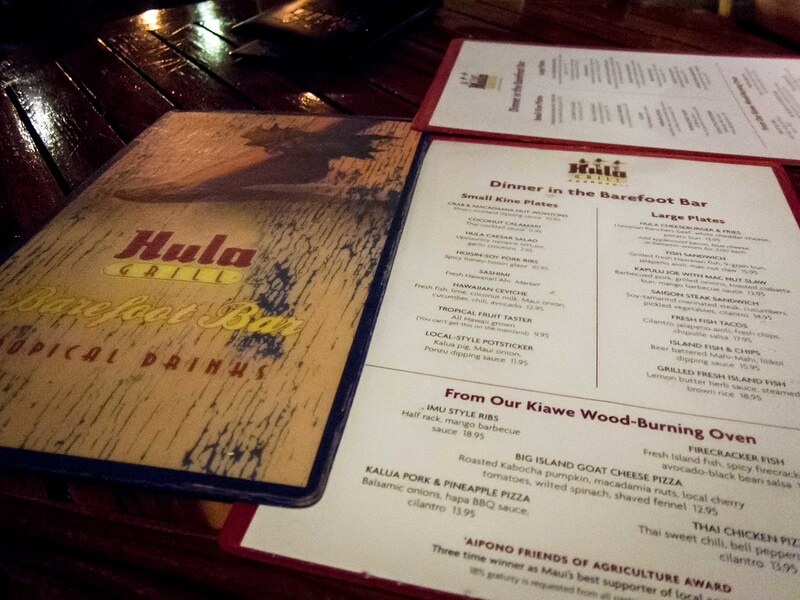 Overall, our meal at Hula Grill was a nice way to start our trip. 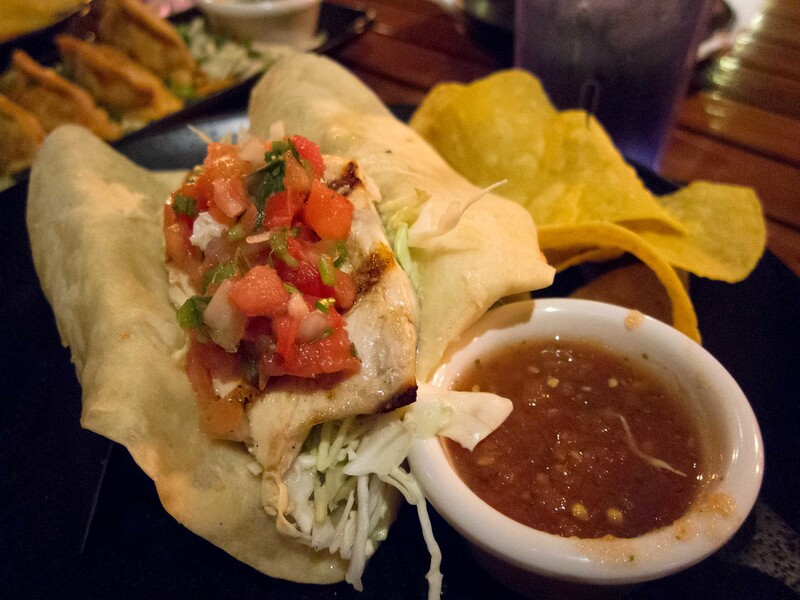 With the decor and overload of Hawaiian shirts, we slipped right into vacation mode while listening to ukulele performers and enjoying a great fish taco.